I’ve fished all my life, particularly around the Great Barrier Reef from my home in Townsville, but I’d never owned a boat, until now. I came across Bar Crusher when browsing at our local dealership here in Townsville. I instantly fell in love. The boat’s rigid construction and sleek design had me sold. We placed a deposit on a custom-designed 575WR and within a few weeks it was delivered. We absolutely love it! North Queensland has some of the best fishing in the world and now virtually no spot is out of our reach. 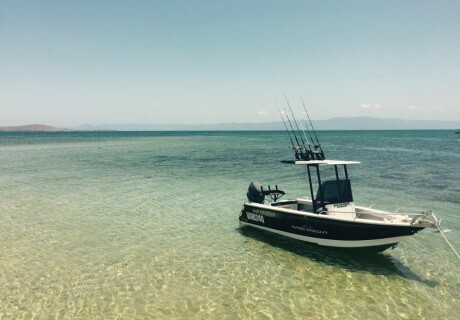 We often fish the Great Barrier Reef, but also fish around Magnetic Island, the Halifax/Palm Island groups with the occasional trip to Hinchinbrook Channel. We love our boat and will definitely consider Bar Crusher again if we ever decide to upgrade.